Our (not so) personal rumblings about technology that we work with. I setup my first blogging site on our intranet more than a decade ago (2002), running (back then) a very new and very popular Movable Type. For years, system run smoothly and I can’t say anything bad about MT, but rather that blogging became from technical point of the view almost boring. And the fact that MT is written in Perl definitely helped me stay away from doing any hacking myself. Then (~2004) things become interesting, I started to learn Python. It was not long and I migrated my intranet based MT site to python powered Plone (~2005). I replaced simplicity with fully blown CMS. Plone is the best CMS I worked with so far, I believe it’s the most powerful and prettiest CMS in existence. Nothing comes close to the power and beauty of Plone. But at a price. Back then you needed a pretty powerful server to run it smoothly or find a plone friendly hosting provider (not that many existed 8-9 years ago, almost a decade before “cloud hammering” hit us from everywhere). If you want to use Plone, you need (at least) VPS (Virtual Private Server), you can forget about cheap shared hosting plans. The bottom line is that Plone was simply too powerful, for the job that I needed to be done. It was 2007 and I knew that I want simplicity back, I needed classic LAMP. Thanks to “Linux Journal” the search was not hard, I soon found my next CMS of choice, Drupal. Drupal was much simpler than Plone, but at the same time quite different, so the learning curve was steeper than I anticipated. Considering Drupal overall popularity it was easy to find hosting provider offering support for Drupal. But finding good hosting provider is never easy. I must say I was lucky with my first pick, OpenSourceHost, which reliably and professionally hosted dbaportal.eu for the last 5+ years, plus I was quite happy with entry level 95$/year shared hosting plan. If you need reliable hosting provider, look no further. In 2012 I already knew that it’s unlikely we’ll ever need all the features Drupal has to offer. Unfortunately, all those features represents target area for hackers and we observed that our site was under constant “attack” from various bots, trying to get in. From security maintenance point of the view Drupal become a burden for us. I again started to evaluate alternatives that could even further lower the complexity of managing (upgrading, patching…) our site — if at all possible completely eliminating the maintenance part, allowing us to concentrate on publishing short notes with little interference. As you already know by now, WordPress.com was a no-brainer for our new hosting provider. For approx. 26$/year we can do more or less everything we could do before and even more (SSL access for example). I sincerely hope WP will last longer than MT + Plone + Drupal did together. Cheers! Oracle Advanced Security option – free in Oracle12c EE!? This is just a short announcement after being off the air for a awhile…thanks to Timur blog post I found out that Oracle is planning to include Oracle Advanced Security Option in plain vanilla Oracle12c Enterprise Edition – free of charge (according to Tom Kyte presentation in Moscow a couple of weeks ago). 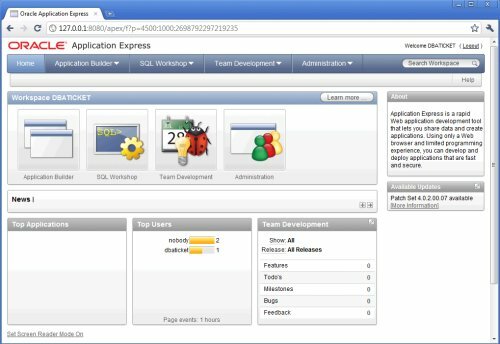 Comments Off on Oracle Advanced Security option – free in Oracle12c EE!? 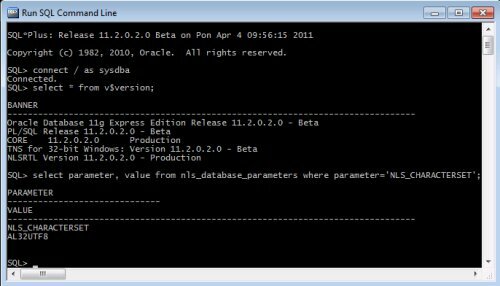 The wait for OracleXE 11g is closing to an end, Oracle announced OracleXE 11.2 Beta, available for Windows x32 and Linux x64. 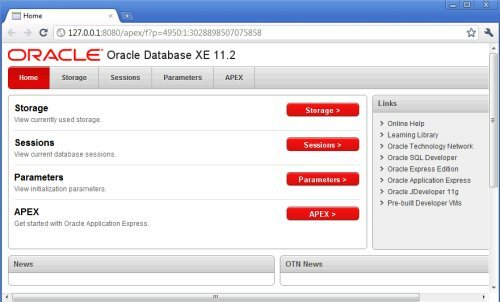 I can’t remember if Oracle published public beta for OracleXE 10g at all!? It certainly seems a right thing to do, to offer Oracle community a chance to put the new release through realistic tests. Enjoy downloading and installing! [Update] The rumor was that Apex 4 will not ship together with the OracleXE 11g, at least in beta this is not true. According to license agreement from documentation set, Oracle raised the database size limit from 4GB to 11GB, 1 instance per physical server, 1 CPU and 1GB RAM remains unchanged restrictions, which I found reasonable. 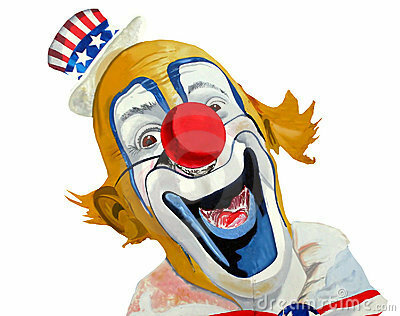 Marketing bozos at Oracle struck again, with so called “study report” done this time by ORCInternational, titled “Database Manageability and Productivity Cost Comparison Study: Oracle Database 11g Release 2 vs. IBM DB2 9.7”. It’s interesting that they came to the same percent savings (43%) as Edison group who published similar (if not exact) pamphlet in 2009. Nevertheless, that “oracle red color” in all table headers looks very nice, Big Boss must be very happy with this report! Quote: Study Confirms Oracle Saves 43 Percent More DBA Time Than DB2. ORC International interviewed Oracle and DB2 database administrators (DBAs) and IT architects; then ran tests to measure DBA daily routines and tasks. Their comparison revealed significant time and resource savings when using Oracle Database 11g over IBM DB2 9.7, including productivity savings of more than US$51,000 per DBA annually. What a pity that saving is 43% and not 42%, at least we should be laughing with a good reason.